Ready to create lasting and satisfying success? We're going to overcome obstacles to help you create the type of life and business that you've always wanted. That's what coaching with me is all about. 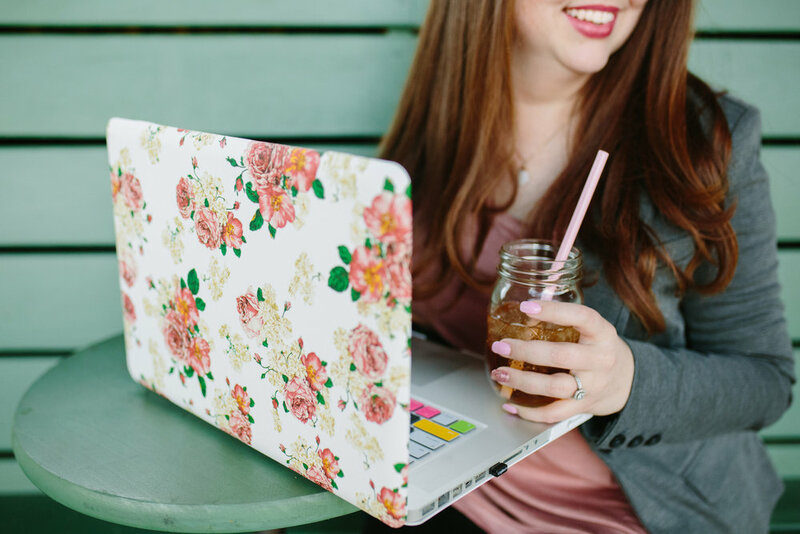 Join me for a 90 Minute Intensive, where we'll dig deep to create an action plan for success or get ongoing support from the Biz Bliss Program, a coaching package designed specifically for you. You're feeling stuck. You want to move forward but it feels like there's an invisible barrier holding you back. You're not sure where you need to go or what you even really want to do. I see you. I've been there. The 90 minute coaching intensive is exactly what you need to help uncover those hidden gems within yourself to make things happen. We'll sit together, one on one, for 90 minutes and work towards greater clarity, confidence and courage so that you can move forward in your business feeling empowered and equipped with the know how to make things happen. Use the link below to to sign up for a 90 Minute Intensive session and fill out the intake questionnaire. You will receive an email from Erin containing your contract, invoice and a link to schedule your call. Once you’ve scheduled you're call, you’ll receive an email with complete instructions and a link to join your session. Each session is held via Zoom.us and will be done in a video call format unless otherwise noted. We’ll meet at your call time and have an amazing conversation that will be recorded. After our meeting, you’ll receive a follow up email with a link to your call, any notes and a follow up questionnaire. There comes a time in every business owners life when they realize they need more than just a one off meeting with a coach. They need ongoing support, accountability and someone to help keep things moving steadily in a forward motion. That’s what the Biz Bliss Package was created to accomplish! This program is a 6 week, 1-on-1 coaching experience that will give you the personalized care that you need to implement impactful changes but will also help you create long term goals with an action plan to make things happen. Coaching is not a linear track. While we'll constantly be moving forward, there are no two coaching paths that are the same. This means you'll have me helping you with your individual needs. I won't be telling you what to do; no bossy pants coaching here! Instead, we'll work together to help you set goals and work towards achieving them. During our time together, you can expect us to work using the Examine, Envision, Empower, Encourage model. This is time for us to gain awareness of where you are right now. We’ll examine what your life looks like, what’s working for you and what isn’t. What are your hopes, your goals, your dreams? Together, we’ll work on determining your truest desires and purpose while coming up with a realistic and actionable plan. Obstacles are inevitable. I’ll encourage you and help you find solutions to the obstacles and challenges standing between you and your goals. Also know as, Success! We’ll set a plan to make sure that your fulfillment is continued! While this is the model I use, that doesn’t mean we’ll work steadily through it all the time.There may be times when we bounce around to best serve you. And that is okay; Everyone’s path is completely unique! You’ll start with an in-depth personal assessment to ensure that we start with a solid foundation. Once you’ve completed your assessment, it’s time for your 30 Minute Introductory Call. This is when we discuss your needs and where you currently are in your business, as well as discuss your goals. You’ll the receive four 60 minute sessions via Zoom. Calls may be scheduled once per week. Each call is recorded and will be provided to you on a weekly basis, along with any notes from the session. It’s not over when we hang up! You’ll receive weekly action tasks and homework to help you meet your goals. At the end of the program, you’ll receive your final session. This is a 30 minute exit session to ensure you continue working on goals and personal development. Ready to get started? Want to see how the Biz Bliss Package can work for you? Click the button below to schedule your free Discovery Call!